Gracie Lee rocks! She has a mean, alcoholic father, a timid mother, and a copycat sister. They’re in Arkansas in the 70s, where the success of the cotton crop determines life or death, and the path to heaven is via the local Baptist church. Gracie Lee cuts through as much baloney as she can. She plays with her Barbie and dumps beer down the drain when her daddy isn’t looking. She confides in the church pastor when she really needs an adult who will listen and guide. Best of all, Gracie Lee invents her own little mystery that allows her to feel like she’s needed and valued. 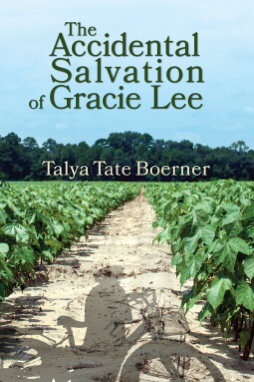 Gracie Lee’s dad really ticked me off, especially when he asked her for a favor at the end of the book. Ugh, like she owed him ANYTHING, especially something that she would burden her. Selfish selfish man. This book was a little slow, but really a wonderful story that I’m grateful to have experienced. In the end, I think Gracie Lee saved HERSELF with her cleverness and courage. And personally I believe she had some backup from the man upstairs. I agree, I hated her father’s request at the end. He was so unfair to her the ENTIRE book. Ugh.